guided around the venue by the pipes themselves, also providing information about the Biennial printed on them. The memory of the industrial past is thus preserved. Brownfield become their own antithesis and communicate messages of sustainability and ecology. 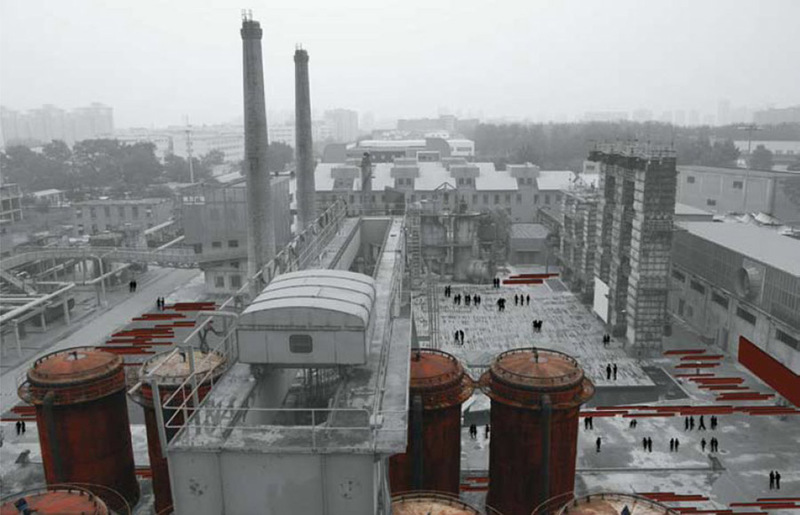 A metropolitan landscape of steel and pipes becomes a vehicle of communication and culture. At night, lights from inside the metallic shells give life to the rusty interiors and guide the visitors along the path.